Located in Downtown Omaha, All Saints Catholic School is a culturally diverse school, emphasizing math, reading and religious values. Students attend Mass twice a week, and the school strives to maintain small class sizes. Christ the King School operates a preschool through 8th grade for students in the Omaha area. The 50+-year-old school integrates religious and academic instruction to create a challenging educational environment for young learners. Serving students from preschool through 8th grade, Holy Cross Catholic School is an AdvancED accredited school in Omaha. The school supplements its small class sizes and learning experience with music, the visual arts, Spanish and a number of extra-curricular activities. 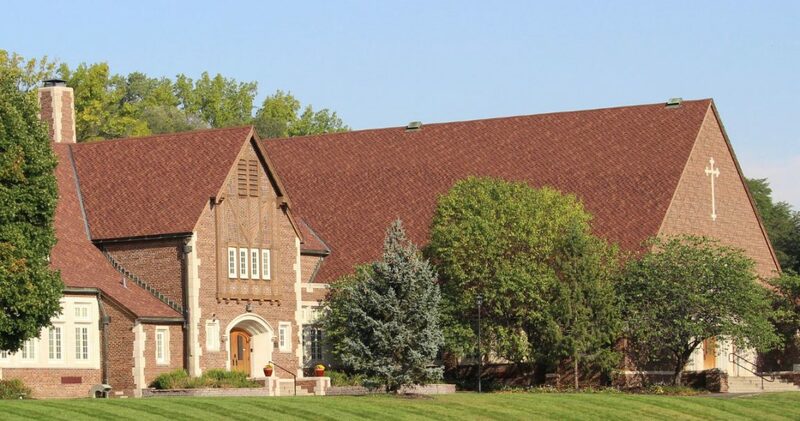 Holy Name School is located in Omaha, serving students in preschool through 8th grade. The small school offers its students Christ-centered education, with daily religious studies, weekly Mass and a strong focus on the core subjects. Jesuit Academy serves boys in 4th through 8th grades. This Omaha Catholic school strives to help its students continually attain success into high school and college. The school boasts small class sizes, with an emphasis on STEM, music, the arts and athletics. Found in Southwest Omaha, Mary Our Queen Catholic School educates children in preschool through 8th grade. The AdvancED accredited Catholic school generally offers three classrooms per grade, with small class sizes. Students focus on core subjects, specialty programs and religious studies. Located in Omaha’s Hanscom Park neighborhood, Our Lady of Lourdes Catholic School provides faith-based education to students up to 8th grade. The school also offers a Dual Language Immersion program. In operation in North Omaha for more than a century, Sacred Heart School primarily serves students in the surrounding neighborhood. The urban school educates children in grades kindergarten through 8th, striving to maintain small class sizes. St. Bernard Catholic School serves students in PreK through the 8th grade. SBCS is an accredited school with a focus on the core subjects, religion, foreign languages and the arts. Found in the suburb of Bellevue, St. Bernadette Catholic School offers classes for students in preschool through 8th grade. The school focuses on high parent and community involvement, while at the same time collaborating with nearby Gross Catholic High School. Located in Omaha, St. Cecilia Cathedral School promotes a Christian education for students in PreK through the 8th grade. With more than a century of tradition, St. Cecilia is an award-winning school, including the past recipient of the US Department of Education’s Blue Ribbon distinction. St. James/Seton Catholic School is found in Omaha, serving students from preschool through 8th grade. Also known as SJS, the school is supported by the St. Elizabeth Ann Seton and St. James parishes. Found in Omaha’s Westgate neighborhood, St. Joan of Arc Catholic School has been teaching students in the metro area for more than a half-century. The faith-based school boasts small class sizes, with students participating in sports and various other after school activities. St. Margaret Mary Catholic School provides a Catholic-based education for young students in the Omaha area. The school incorporates religion into all subjects. It provides an accelerated math curriculum for some of the older grades and is a past recipient of the Blue Ribbon School distinction by the US Department of Education. Located in Bellevue, the suburban St. Mary School serves students in PreK through the 8th grade. The school delivers a Catholic-based education, pairing religious studies with core subjects, the fine arts and a technology-driven curriculum. Found in the suburb of Bellevue, St. Matthew Catholic School offers classes for students in PreK through the 8th grade. Accredited by AdvancED and the NCEA, St. Matthew provides faith-based instruction to younger students in the Omaha area. Located in the suburb of Elkhorn, St. Patrick Catholic School is a Catholic school for preschool through 8th grade students. The school offers a faith-based curriculum of learning, as well as a number of clubs and athletic teams for students. The school is AdvancED accredited. Located in South Omaha, Sts. Peter & Paul Catholic School enrolls the largest Latino student body in the entire Archdiocese of Omaha. Along with a faith-based curriculum, the school boasts a diverse student body and a technology-rich learning environment. Located in Omaha, students in PreK through the 8th grade attend classes at St. Philip Neri School. The Catholic School promotes an environment of spiritual, academic and social growth. With an emphasis on service, faith and critical thinking, St. Pius X/St. Leo Catholic School serves students in the Omaha area. Located in midtown, the school offers classes from PreK through the 8th grade. The Catholic school also promotes strong parental involvement. St. Robert Bellarmine Catholic School offers a Christ-centered learning environment for students in Omaha. Recognized as a National Blue Ribbon School by the US Department of Education, the school places its core values in faith, service, excellence, leadership and collaboration. Located in Omaha, St. Stephen the Martyr School is a designated Blue Ribbon School with AdvancED accreditation. The Catholic school serves students in preschool through 8th grade. Located in mid-Omaha, St. Thomas More Catholic School provides classes for students in preschool through 8th grade. Along with traditional learning, the school features a dual language immersion program and electives. Found in Omaha, St. Wenceslaus Catholic School serves students in preschool through 8th grade. The school focuses strongly on academics and faith-based education, while at the same time incorporating technology into the curriculum.